What Is A 180 Degree Assessment? Performance assessments can be stressful. Traditionally, no one likes giving or receiving such an appraisal, and many view the process as unnecessary. Implementing a system of 180 degree assessments, however, provides a more well-rounded approach to the performance review process and can serve to improve communication, morale and--yes--performance. For those unfamiliar with the lingo, understanding exactly what a 180 degree assessment takes into account can be confusing. The key to understanding is realizing that there is a range of different "degreed" performance appraisals--90, 180, 270, 360, 540 and even 720--and each type of appraisal is named for the number of sources of feedback it takes into consideration. The most basic and common type of performance appraisal--and what many people think of when they hear "performance review"--is the 90 degree kind, in which there's only one source of feedback: the manager. A 180 degree assessment builds on this to take into account the self-assessment of the employee being appraised. Typically, the employee fills out a self-evaluation form, rating themselves and providing feedback on their own perception of their performance prior to the review meeting with their manager. The "higher" degrees of performance appraisals simply take into consideration more sources of feedback, with 270 degree reviews soliciting peer feedback, 360 degree reviews adding subordinate feedback, and 540 degree appraisals looking at client and customer feedback. A 720 degree review compares feedback from two 360 degree assessments. Which "degree" of performance assessments is best for your organization can vary depending on your goals and resources. In addition, the level of a particular employee influences the correct appraisal approach. In other words, it would be a waste to conduct a 540 degree appraisal for an entry-level employee who doesn't manage anyone or interact with external clients or customers. In many cases, however, a 180 degree assessment program can be highly beneficial for several key reasons. Most companies and organizations have some type of performance review system in place. Often those responsible for its administration are reluctant to change their assessment standards, whether due to inertia or a belief that no assessment system can really be helpful. However, 180 degree assessments are markedly different from the most common form of performance appraisals--the 90 degree method described above--and can prove incredibly beneficial for organizations of various sizes, across all industries. The truth is that many managers are terrible at providing feedback for their employees, and this can lead to wide-ranging issues in your organization. Specifically, 180 degree assessments can address common issues that many organizations face, ranging from employees who feel victimized by their employers and managers who despise conversations about performance. How? It's simple: by immediately and effectively opening up communication between employees and their managers. The atmosphere of open communication that a 180 degree assessment offers makes it excellent for conducting a performance gap analysis, allowing organizations to clearly discuss areas where an employee is lacking and to make plans to address them. This back-and-forth conversation enables managers to more easily devise a solution for an underperforming employee, from providing additional training to adding new staff. Besides addressing problems of underperformance, the improved communication also serves to demonstrate to top performers that they are truly valued. For organizations that struggle with finding the time to administer performance assessments, a system of 180 degree appraisals has one more key benefit: its time savings. Since data is collected from just two sources--the employee and their direct manager--gathering and compiling the relevant information is simple and streamlined (and yet still effective). 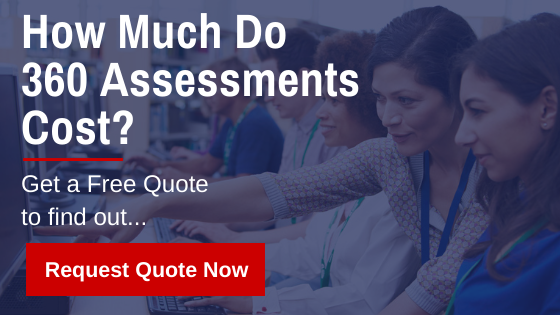 The benefits of instituting a system of 180 degree assessments don't just extend to your organization itself. Your employees can also reap valuable information and guidance from these assessments, potentially leading to happier, more committed, and more hardworking employees. First and foremost, the open communication facilitated by 180 degree assessments means that employees receive more objective feedback that is balanced and provides clear performance targets. Whether an employee is at top performance or has areas they need to work on, this clarity helps ensure that both manager and employee are on the same page. What's more, the set-up of 180 degree assessments allows employees to discuss problems they've been facing and provide feedback on their manager's performance as well. Both of these points, in particular, make an employee feel valued and heard. A 180 degree assessment also presents the perfect opportunity to discuss training needs and speak to an employee's development plan. While it's certainly in the best interest of a business to have employees who are up-to-date on industry development and striving to improve their value to the company, it also benefits the employee to have their own personal development goals addressed. Indeed, doing so can generate goodwill and company loyalty on behalf of the employee. Of course, making changes to the way your company carries out performance appraisals can be difficult, and there's likely to be some resistance and roadblocks along the way. It does take time to fill out a self-assessment, and organizing and holding performance review meetings can feel time-consuming for managers with multiple employees. Openly communicating with all employees about why such changes are being instituted is key, as is ensuring that everyone has enough time to prepare. Partnering with an external certified coaching partner and employee development solutions provider can also be extremely helpful when switching your organization's performance assessment strategy. Such services can help you remove the emotion that often clouds the performance analysis process in order to facilitate open discussions and craft development plans that rely on measurable goals and objectives. As a result, these external consultants can help your company enhance your current and future performance discussions, ensuring you take full advantage of the 180 degree assessment.